After listening to this particular speaker I realized that while the latter has been a belief of mine it wasn’t what I was actually coaching. Before we dive into the show I have some notes to share. 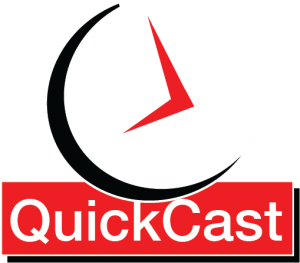 Note: I would also like to let everyone know that the 100th episode of the Endurance QuickCast is only 1 episode away! That’s right! This is show 99! The 100th show will be all about riding centuries whether its 100miles or 100km. So get your questions ready! To entice you to send in your questions the first 10 listeners that send in their questions will get free access to the Century Training Plan! This is not a downloadable plan instead it is a plan I make available on TrainingPeaks.com. The regular price for this plan is $50.00. So hurry if you want the plan!!!!!! Just send your questions to me on our Contact US Page located in the about menu on the PositivePerformanceCoaching.com website. Questions are due by Wed, June 28th, 2017! So hurry if you want the free plan. So on the subject of motivation, I realized I was “backing” my athletes into a motivated state through other means such as embracing performance oriented goals over outcome-based goals and setting weekly and daily training objectives. I have always understood utilizing goal setting along with weekly and daily training objectives would lead to success and that success breed’s success. I just never thought of this as a way to coach motivation. When motivation is heightened we want to do more, become faster, stronger and to seek bigger goals to fulfill. Show over right? You gave up the secrets? Not even close. This past winter I started thinking about the holes in my own training, training nutrition, and race performances. The realization that I needed to rethink my position on motivation lead to some soul searching, thinking and lots of researching. What actions help athletes to complete daily and weekly training objectives? Why do goals go uncompleted? How can I better help athletes simplify the execution of goals? How can I enforce or show athletes that Outcome Based Goals are counterproductive and harmful to their motivation? All of these questions had me circling back to one thought, habits. So today we are going to dive into the development of supporting habits to improve your motivation and your performance! What keeps you from establishing good habits? What is the simplest process to explain habit building? What habits do elite and pro athletes embrace? I find quite often when I begin a research project that some of the earliest results of a search will bring up results from Wikipedia. While I don’t always cite Wikipedia for fear of malformed and sometimes false information I did find the information on habits to be quite good. “A habit is a routine of behavior that is repeated regularly and tends to occur subconsciously. Maybe there is a technical problem like Ego Depletion? Ego Depletion refers to the idea that self-control or willpower draws upon a limited pool of mental resources that can be used up. When the energy for mental activity is low, self-control is typically impaired, which would be considered a state of ego depletion. In particular, experiencing a state of ego depletion impairs the ability to control oneself later on. A bright-line rule is a clearly defined rule or standard, composed of objective factors, which leaves little or no room for varying interpretation. The purpose of a bright-line rule is to produce predictable and consistent results in its application. Let’s think about some example of some Micro Quotas that could benefit from establishing Bright Line Rules. What do these statements really mean to you? What do you mean by stating I want to train more consistently? Are you just going to try and hope it all works out? Will you try to get in most of your training or are you going to establish that you will do it all? Have you managed your calendar and time well enough to accomplish this? Do you recognize the common things that keep you from meeting this challenge? Are you prepared to remove these challenges? What do you mean when you say I want to quit eating unhealthy snacks? What snacks do you consider unhealthy? How will you remove the temptation of eating these snacks? Is it as simple as not purchasing them any longer? Do you need to go to a different grocer that won’t stock unhealthy snacks? Do you need to stay away from the break room at work so you are not tempted? What do you mean when talking to other about wanting to race more? How many more races is more 5, races, 10, races, 40 races? Are you going to preregister for all of the races at the beginning of the season and put them on a calendar that your whole household can see? Or are you going to wing it and only register day of the race in case of bad weather? Establishing your dream situation or performance could be thought of as the big picture or your Macro Goals. Whereas the Micro Quotas are the minimum amount of work that must be done to reach your big picture goal. Don’t try to do it all at once. Keeping things simple is the key to success when establishing good habits. There should be very little decision making involved. Your habits need to become automatic and unconscious events. When I think of challenges I think of the end in mind. What is it that I want to accomplish? Then I think when can I get it done? Is it going to take longer than 30 days? If no then I will ask the question does it support the bigger picture goals? Then I ask can I afford to meet the goal with the energy and finances I have at my disposal? If no then I may completely ignore the challenge or see if smaller challenges will get me to the bigger challenge. I look at my challenges from two perspectives, Low hanging fruit, and Return On Investment. If there is work that I can do that doesn’t take a great amount of energy that will improve performance and not cost and arm and a leg I will invest sweat into it. However, if there is a bigger challenge that requires a much larger investment in time, money or energy but the payoff is much greater then I may focus my attention on the bigger challenge. Three to four weeks is often all the time you need to make a habit automatic. Researchers have stated that 20-45 days is what is often needed but 30days or a month will fit in most calendars easier. What is Ego Depletion? How can it derail successful habit change? The End of Ego-Depletion Theory?